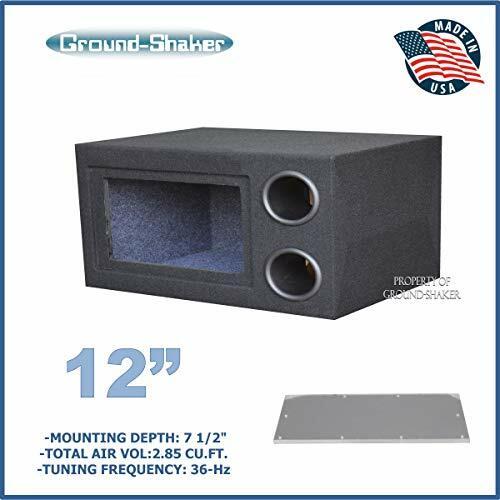 Sound Ordnance designed the B-24 dual bandpass subwoofer to be the bass fortress in your vehicle's sound system. The sturdy enclosure houses a pair of 12" polypropylene woofers in individual airtight sealed chambers, plus a third chamber that features a generous slot port for massive air movement. The enclosure's bandpass design increases speaker efficiency dramatically for impressive bass firepower. Best of all, you can watch the woofers swing into action behind the clear acrylic front windows. The heavy-duty speaker terminals provide excellent connections, and the rugged black carpet cover with the Sound Ordnance logo lets your competition know you mean business. And you'll have extra peace of mind with Sound Ordnance's 3-year warranty behind your investment. Add a suitable amplifier, mount the system safely in your trunk or cargo area, and get ready for a bass barrage. Need an amp for this sub? Check out this Crutchfield-approved bass package . 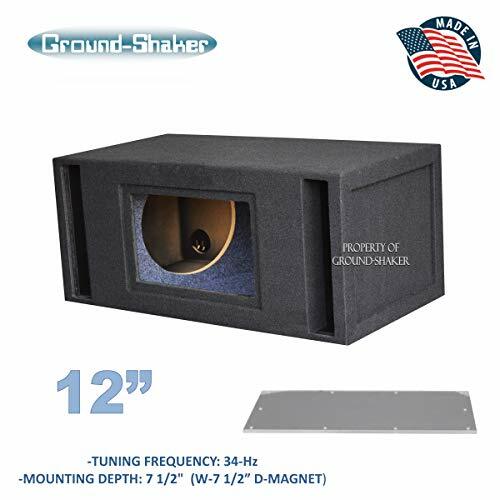 Sound Ordnance designed the B-17 bandpass subwoofer to be the bass fortress in your vehicle's sound system. 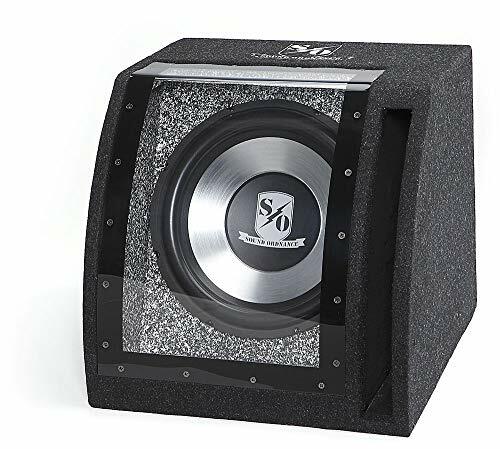 Its 12" polypropylene woofer is mounted inside a sturdy enclosure, between an airtight sealed chamber and a second chamber that boasts a generous slot port for massive air movement. 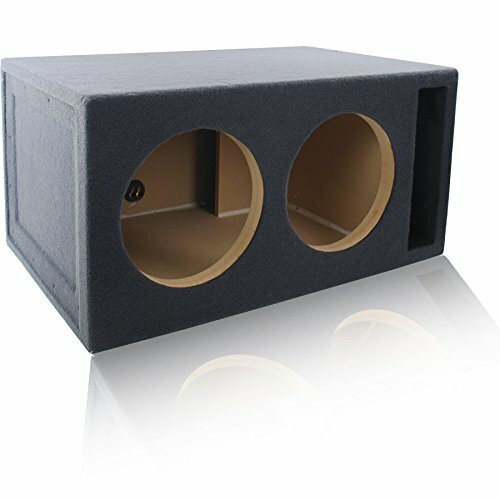 This bandpass design increases speaker efficiency, for impressive bass firepower from a relatively small box. Best of all, you can watch the woofer swing into action behind the clear acrylic front window. 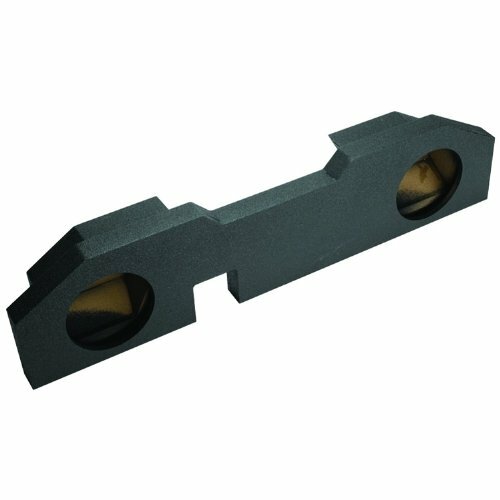 The heavy-duty speaker terminals provide excellent connections, and the rugged black carpet cover with the Sound Ordnance logo lets your competition know you mean business. And you'll have extra peace of mind with Sound Ordnance's 3-year warranty behind your investment. 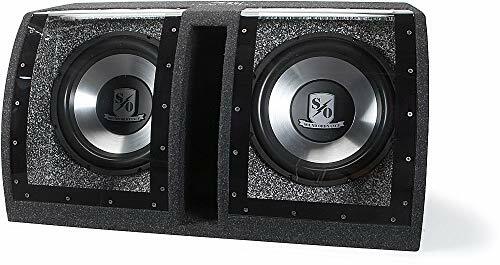 Add a suitable amplifier, mount the system safely in your trunk or cargo area, and get ready for a bass barrage. Need an amp for this sub? Check out this Crutchfield-approved bass package . 4.0 Cu. 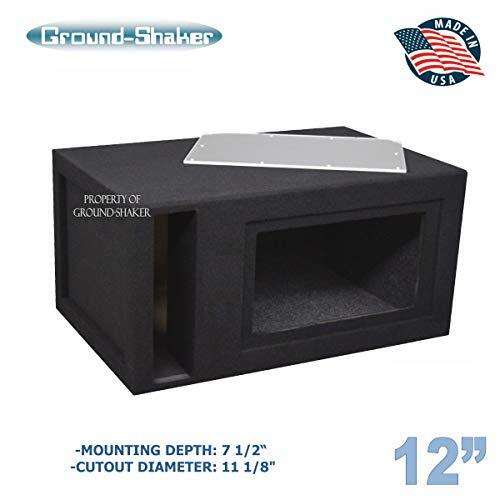 Ft. Ported / Vented MDF Sub Woofer Enclosure for Pair of 12" Car Subwoofers (4.0 ft^3 @ 32Hz) Made in U.S.A.
Dual 12" custom slot-ported sub enclosure Compatible with most 12" round woofers Single chamber design holds (2) subwoofers 4.0 ft^3 slot-port tuned @ 32Hz Solid 5/8" MDF construction 1-1/4" Reinforced MDF front baffle Durable dark gray carpet Gold-plated binding post terminals Internal box volume: 4.0 cubic feet (before driver displacement) Tuned to: 32Hz Woofer cutout diameter: (2) 11-1/8" round Dimensions (W x H x D): 33" x 16-1/2" x 21"
Pyle bandpass subwoofers are specially designed for maximum slam! These two woofers are mounted inside a dual-chambered box – one sealed, the other ported – with the sound waves emerging from the ported box. This yields a low, narrow frequency sound (35 Hz – 1 kHz) with a huge punch that’s super efficient. With ample room, these babies will roar. 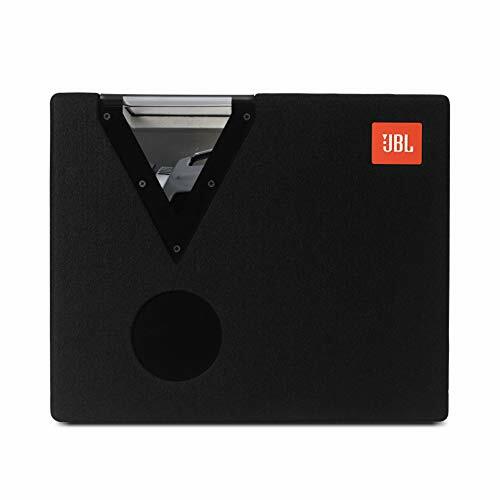 The two 1200-watt 12” subwoofers are designed a specially treated black rubber edge suspension, so the only vibrations you’ll be hearing will come from your music. The silver polypropylene cones provide maximum boost and extend the life of your product and ensure the safety of your vehicle. 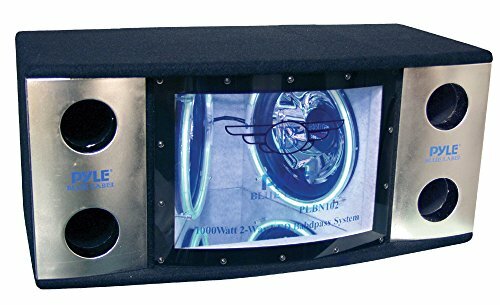 And this subwoofer doesn’t just sound great – it looks great, too, thanks to the Plexiglass front window, blue LED woofer rings, and 4 tuned ports. Feel the bass with Pyle’s bandpass subwoofers! Shopping Results for "12 Bandpass Enclosure"